Have I seen this before? 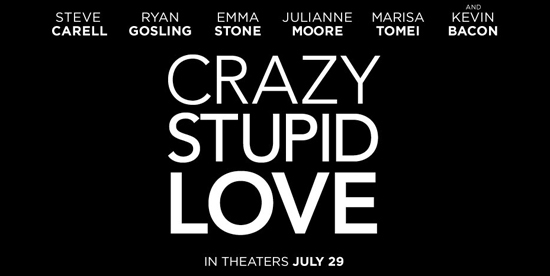 Crazy Stupid Love is an upcoming comedy directed by Glen Ficarra and John Requa starring Steve Carrell, Ryan Gosling, Julianne Moore, Emma Stone, Kevin Bacon (to name a few). Due out end of July, the plot revolves around a fathers (Carrell) life unravelling when his wife (Moore) asks for a divorce, his “perfect” life quickly falls apart at the seams which eventually thrusts him into the world of single dating with hilarious consequences (apparently). Ok, this all sounds a bit familiar, but it has a good strong supporting cast…so I guess we will have to wait and see as per usual……next? This entry was posted on Thursday, July 21st, 2011 at 5:51 am	and posted in Uncategorized. You can follow any responses to this entry through the RSS 2.0 feed.